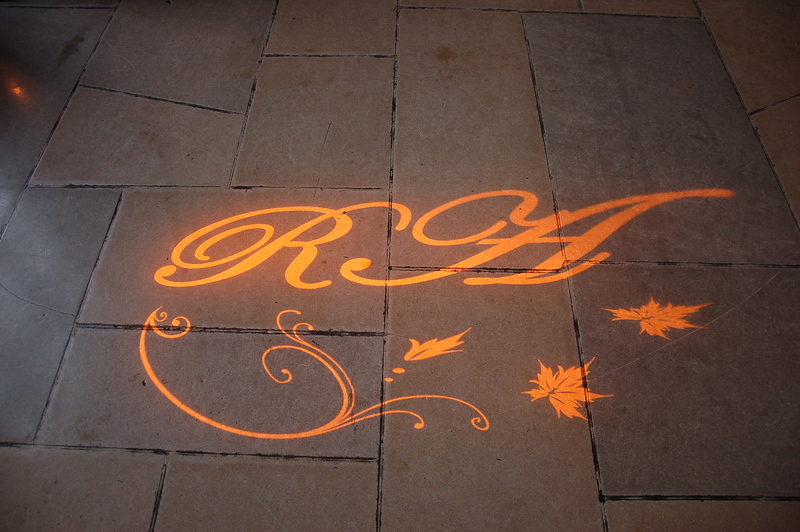 Custom monograms or your names and wedding date or custom designs can be displayed on a wall or the dance floor. The one pictured above left is a glass gobo with a color filter. This is less expensive than a colored gobo. The one on the right is a metal gobo. You can see the legs that hold it all together. There are 2 basic types of gobos, the media that carries the image to be projected. The first type is a thin piece of stainless steel that is laser cut with the information you would like to have displayed. Because it is a single piece of metal, small “legs” will connect various parts of the gobo with an image that looks a bit like it was made with a stencil. This is the least expensive type of gobo and will typically cost around $100 to $125 with shipping. The second type is made of glass and the image is fused to the glass. Images can range from plain text to full color photos and the price of course will range dramatically as well. A full color glass gobo will be in the area of $500 and a plain black text one will be about $175 to $200. 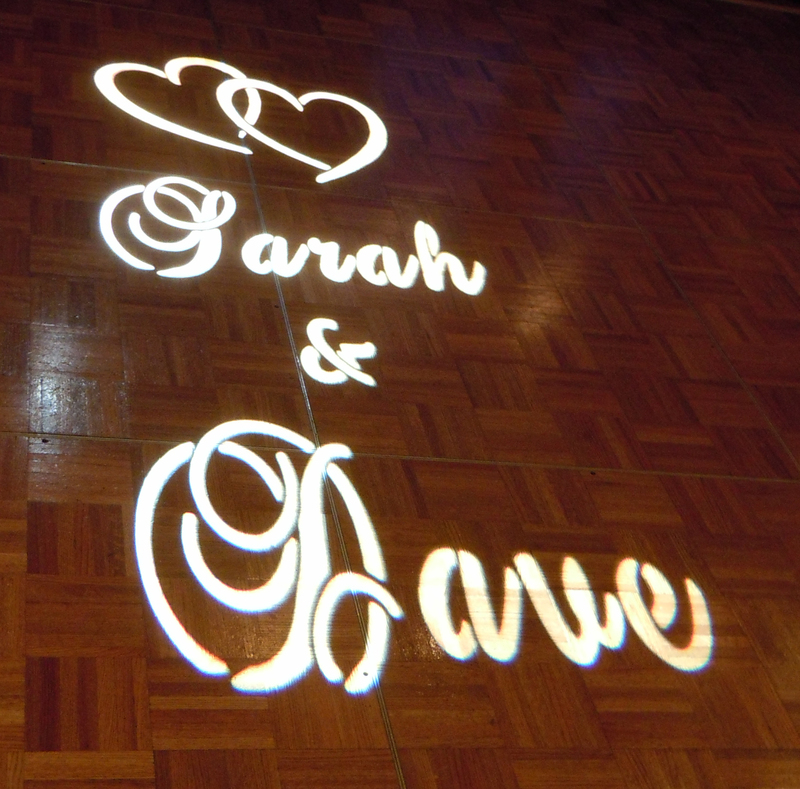 The advantage of the glass gobo is a clean image with no “legs” and the ability to incorporate artwork from your invitations as shown above left.. Rush orders can be be delivered within 48 hours, but you will pay a premium for overnight shipping. Order well in advance for the best pricing.